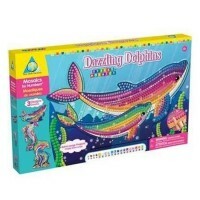 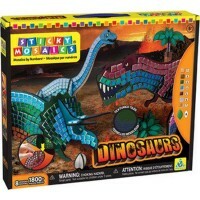 The Sticky Mosaics Robots Craft Kit is not only a great craft for boys, but a pretend play robot set in one box. 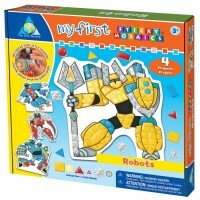 Really cool robot warriors from the Robots Sticky Mosaics Craft Kit are ready to fight to save the world! 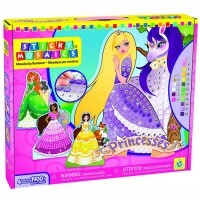 They just need your help to look perfect for the job! 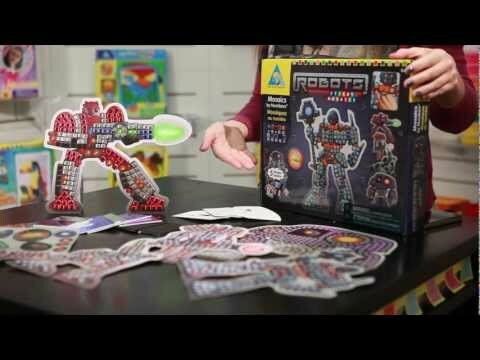 Follow the easy instructions and add cool foam mosaic pieces to these futuristic robots so they can be ready for action. 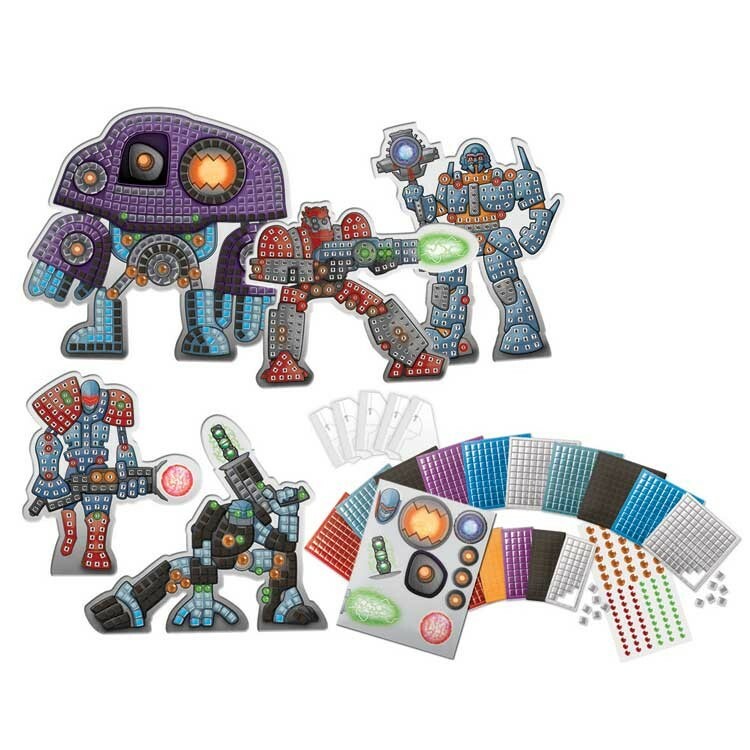 This robot craft kit from the Orb Factory includes 10 FlipMotion stickers to add real movement to your mosaic robotic creations. The Robots Sticky Mosaics Craft Kit is not only a great craft for boys, but a pretend play robot set in one box. 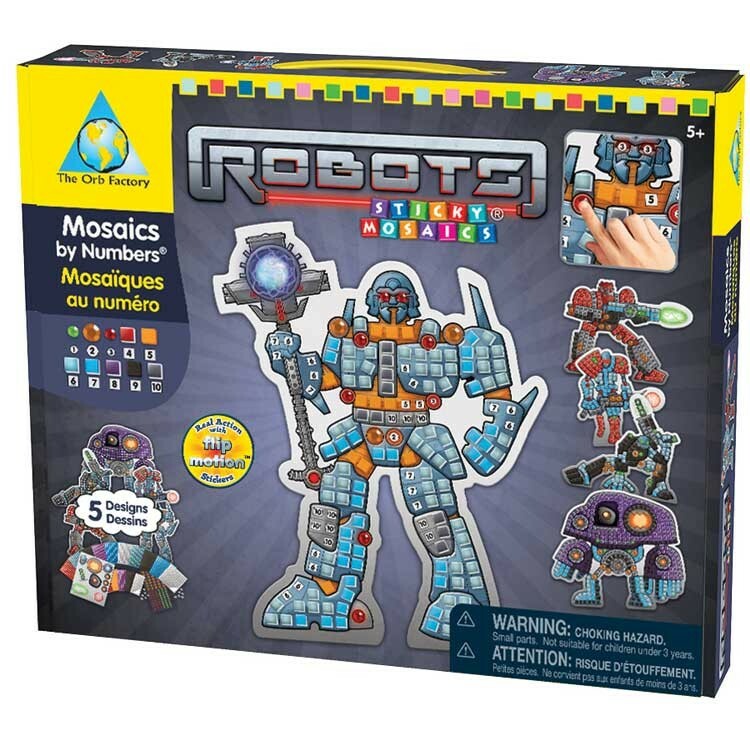 This robot mosaic set for boys contains 5 robots to decorate, 5 stands, and over 1200 sticky foam pieces to create your tech masterpieces. 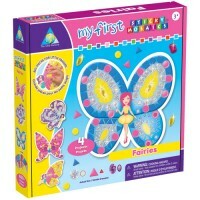 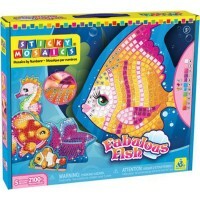 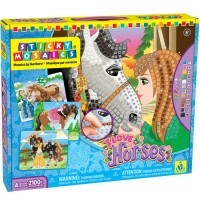 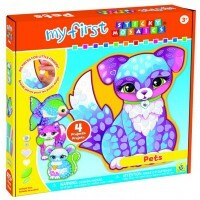 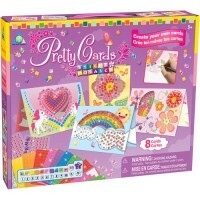 Write your own review of Robots Sticky Mosaics Craft Kit.